Disney Infinity was released less than two weeks ago, but it already has some rare figures selling for as much as $400. Below is a list with the rare Disney Infinity figures and what makes them so hard to find and so expensive. At San Diego Comic Con in 2013, Disney gave out four of these figures as part of their Disney Infinity promotion at the convention. The figure is hand painted and does work on Disney Infinity games. Only one of these has sold publicly and it sold for almost $400. 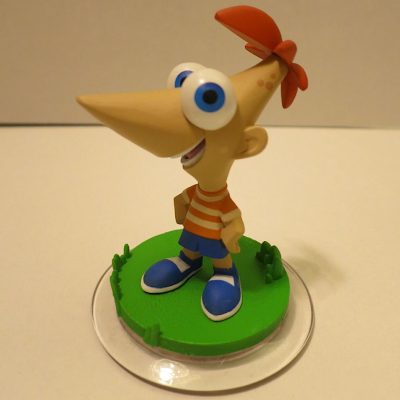 Phineas has already been announced as a character in Wave 2. By the end of the year there will be tens of thousands of these figures available. It remains to be seen if this hand painted version from Comic Con will continue to fetch a premium. 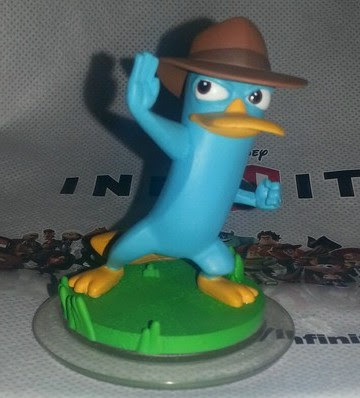 Disney also handed out four Agent P figures at Comic Con 2013 along with the Phineas mentioned above. The seller of the only version that did sell also included a special package with three signatures from voice actors for the show and a t-shirt. These items will help keep the value of this item high because they are limited edition items and will not be included with the figure when it is sold in Wave 2. Sorceror Mickey is another convention figure but this time it was at the D23 convention (D23 is the Disney fan club). 5000 figures were given away at the convention along with special packaging saying the figure was given out at D23. Sorceror Mickey will be available to the public in early 2014 so prices for the loose figure will plummet when it becomes easy to find at retail stores. But the sealed figures with the special packaging confirming it was from D23 will continue to fetch a premium because only 5000 were made. Nightmare buster snes preorder is back open. Super Fighter Team. Do you know that you have the pictures mixed up for Phineas and Agent P? Agent P is the platypus, and Phineas is the kid. @josh - Thank you for the correction. It was a copy and paste mistake on my part. you can by those figures on amazon for only a few bucks!